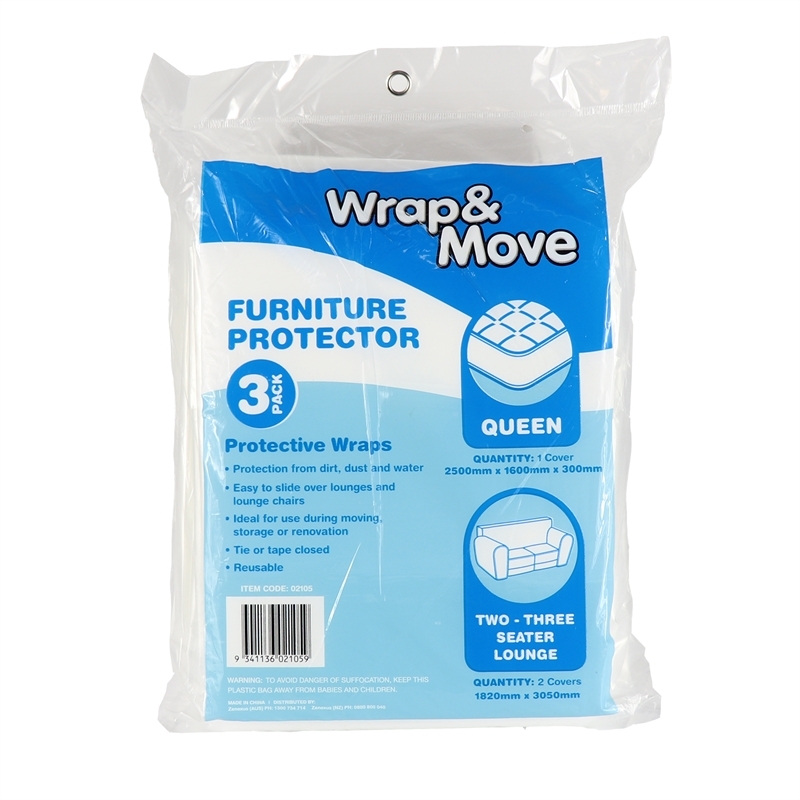 The Wrap & Move Furniture Protector 3 Pack includes 1 x Queen Mattress Protector and 2 x 2/3 Seater Lounge Protectors. The mattress protector covers mattresses from getting dirty, dusty and wet. It is easy to slide over single-size mattresses and is ideal for use during moving, storage or renovation. You can tie or tape closed and re use over and over again. 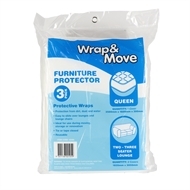 The Lounge Protectors are ideal protection from dirt, dust and water. It is easy to slide over 1-3 Seat Lounges and is ideal for use during moving, storage or renovation.